Amid high drama, Tamil superstar Kamal Haasan on Wednesday faced a setback as the Madras High Court stayed the screening of his film Vishwaroopam though he agreed to remove certain scenes. The actor in an emotional outburst before the media, later lamented that “if I don’t get justice, I may have to move out of India and take shelter in a secular country”. 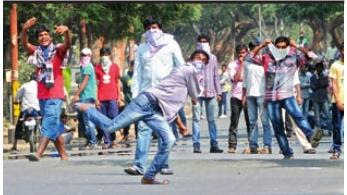 The seven Congress Lok Sabha MPs from Telangana who had announced their decisions to quit on Monday protesting the Centre's delay in announing its decision on Telangana, decided to defer their decision by a day on Tuesday. Protesting against the Centre's indecisiveness on the Telangana issue, seven Congress MPs from the region decided in principle on Monday to resign from the Lok Sabha. Before sending their resignations to the Lok Sabha Speaker, the MPs will send their resignation letters to Congress president Sonia Gandhi, asking her to announce a Telangana state immediately. They debated the issue for more than six hours before deciding to quit. Unable to decide on the Telangana statehood issue, the Central government as well as the Congress leadership on Sunday indefinitely delayed making a final announcement and called for fresh consultations on the issue. Be prepared to pay `1,000 for a domestic LPG cylinder if you do not get an Aadhaar card by February 15. The Oil Marketing Companies (OMCs) have asked gas agencies in Hyderabad and Ranga Reddy districts to supply only non-subsidised cylinders costing nearly `1,000 to consumers who fail to submit their Aadhaar UID number to the gas agencies by February 15. 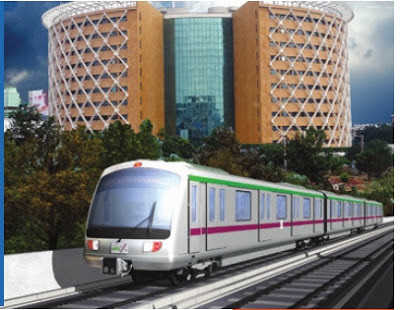 If the Hyderabad Metro Rail lives up to people’s expectations, we will no longer have any excuses to be late. But it’s also set for a very busy future. Let’s have a look at some numbers. The country’s population will balloon 40 per cent by 2030 — that’s twice the number of people in the US. We will also need new workers at the rate of 70 per cent and with urbanisation at just 30 per cent, our cities are bursting at their seams. 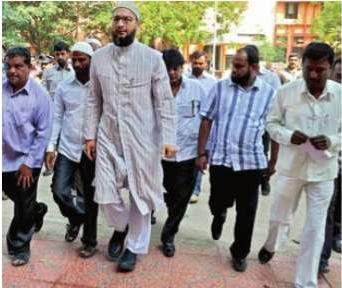 Majlis-e-Ittehadul Muslimeen MP Asaduddin Owaisi was sent to Sangareddy jail on judicial remand for 14 days on Monday after he surrendered before the court in connection with a 2005 case for abusing and assaulting government officials. 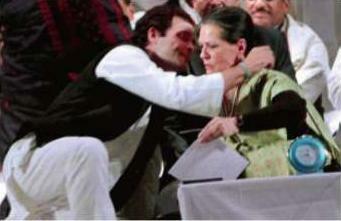 In his maiden speech as Congress vice-president, Rahul Gandhi struck an emotional chord with delegates at the Jaipur conclave that included his mother, party chief Sonia Gandhi, and Prime Minister Manmohan Singh, as he spoke from the heart on the ills that afflict the party and the people of India. Two people were killed on Wednesday when a helicopter hit a crane at a building site in central London during morning rush hour and plunged to the ground in a ball of flames. 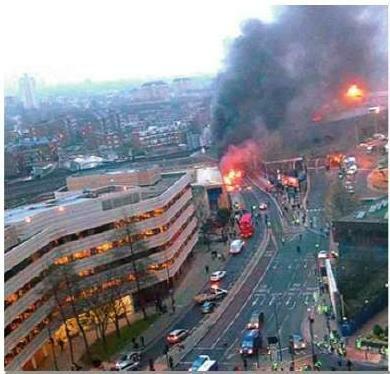 Police said at least 13 people were injured after the aircraft smashed into a crane on the top of an unfinished luxury apartment block at Vauxhall, near the headquarters of the MI6 foreign spy agency on the south bank of the River Thames. 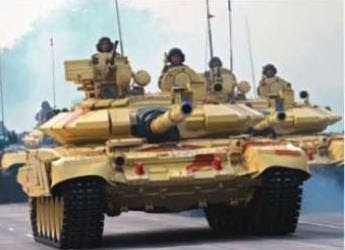 In a toughening of India’s stand on Pakistan, Prime Minister Manmohan Singh on Tuesday said it “cannot be business as usual” in the wake of the “barbaric act” of beheading of an Indian soldier by Pakistani troops near the Line of Control last week, even as New Delhi put on hold the visaon-arrival facility for Pakistani senior citizens that was to start on Tuesday. Trade across the Line of Control seems to have become the first casualty after recent active hostilities along the de facto border in Kashmir. 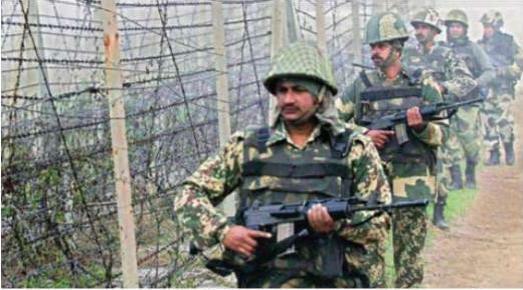 Twenty-five Indian trucks couldn’t cross the LoC at Chakan-da-Bagh in Poonch district on Thursday after the Pakistanis refused to let them through. 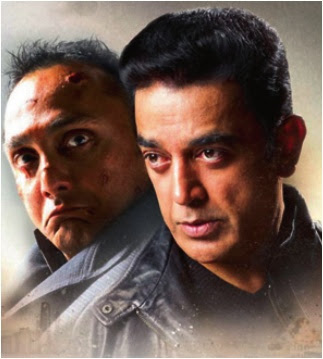 Looks like actor Kamal Haasan had no choice but to give in to theatre owners and postpone the release of his muchanticipated trilingual film Vishwaroopam, amid a face-off with a section of the latter over the film’s premiere on DTH platform. 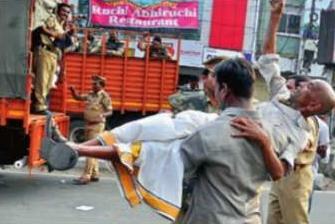 But the actor assured he would not let down the DTH partners. 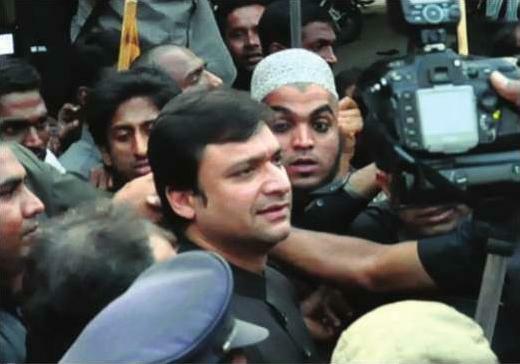 State police arrested MIM MLA Akbaruddin Owaisi on Tuesday evening at Gandhi Hospital in Secunderabad after doctors declared him “fit to speak and travel” and found nothing very wrong with his health. 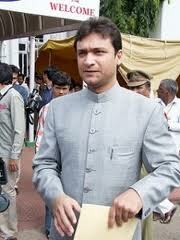 Mr Owaisi was taken under tight security by car to Nirmal, escorted by the Task Force and AP special police. Mr Owaisi arrived at the Nirmal police station at 9.45 pm along with his personal doctor who conducted a medical check on him in the presence of incharge DSP Ambarkishore Jha at the police station. MIM MLA Akbaruddin Owaisi, who has been charged with making a hate speech, arrived here from London in the early hours of Monday but did not appear before the Nirmal police as directed, pleading poor health. The police found prima facie evidence against Majlis Ittehadul Muslimeen MLA Akbaruddin Owaisi for his speeches on December 8 and 22 in Nizamabad and Adilabad and booked two cases on Wednesday under non-bailable sections. 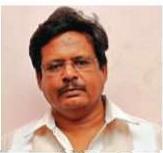 In what seems to be the “spectrum of the south“, IT sleuths from Chennai and Coimbatore seized international bill of exchange worth $5 billion with a face value of `27,000 crore from the home and office of a Class X dropout businessman in Upputharaipalayam on Palani Road, about 95 km from here on Wednesday. These are unusual days for Indian cricket. From a team, which toyed with the opponents at home, Dhoni & Co have been pushed to the wall, first by the English and now by their arch rivals Pakistan.